Worried about the damages of harsh sunrays on your skin in summer? Or the dry chills of winter? Whatever be the season, taking proper care of your skin is essentially important to keep it nourished, moisturized and rejuvenated at its best. Our hands, face and neck are more exposed to the direct pollutants and dirt in daily life, which in turn result in dark patches of tan. To get rid of this pigmentation and dryness, there are various ointments and lotions available in shops for you to try out. 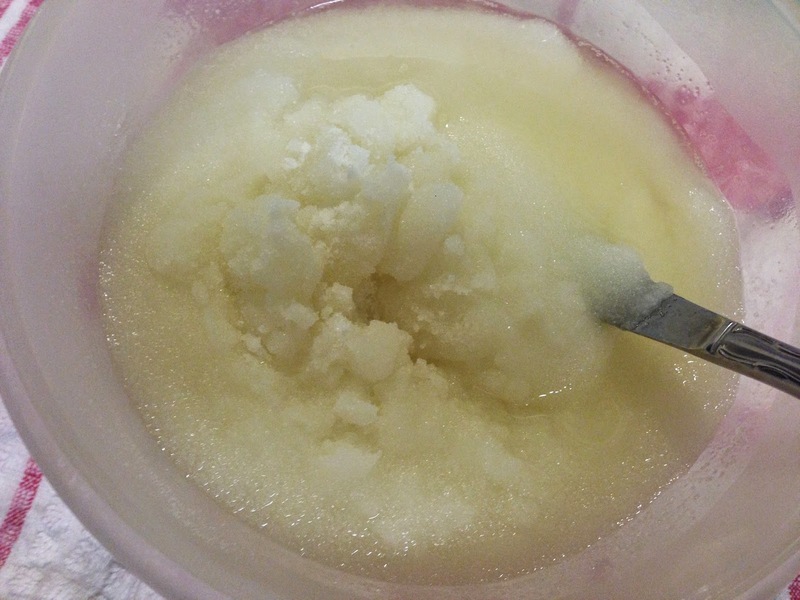 Instead of these chemically treated products, homemade body scrub made from ginger, coconut oil and sugar have proved to be highly effective in regular beauty benefits, without any fear of side effects. It is 100% natural and without any harmful side effects. It removes the dead skin cells of body thoroughly, thus allowing skin to breath. Scrub massage also enhances the blood circulation of body. It helps relax the muscles after a stressful and tiring day. Ginger, coconut and sugar are three easily available ingredients in any kitchen. 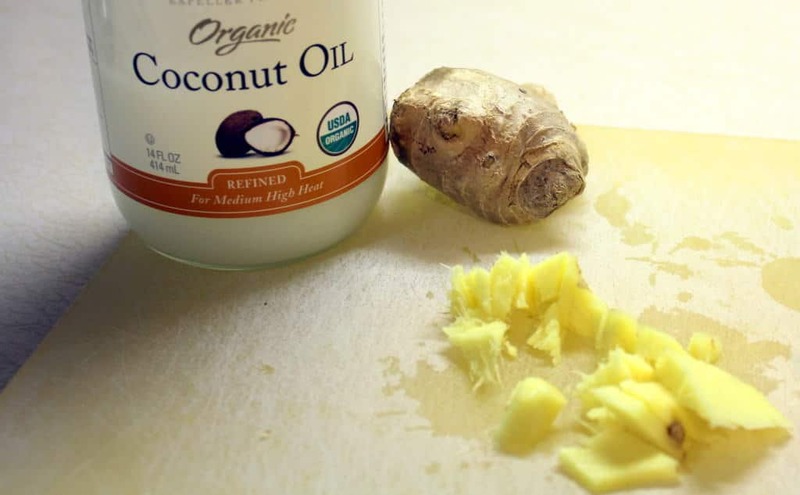 While coconut oil is an excellent skin moisturizer for winter days, ginger is known for its anti-inflammatory properties which heals and soothes the skin from rashes, allergies and redness. It also makes the skin firm, thus making you look younger and attractive easily. Get to learn the process of making ‘ginger and coconut oil sugar body scrub’ at home and add to your beauty successfully. Take a small pan and heat the coconut oil well. Now add the grated ginger in it and heat for 5-7 minutes. Once the fragrance and juice of ginger gets mixed with coconut oil, transfer it to a sieve to filter out any solid particles. 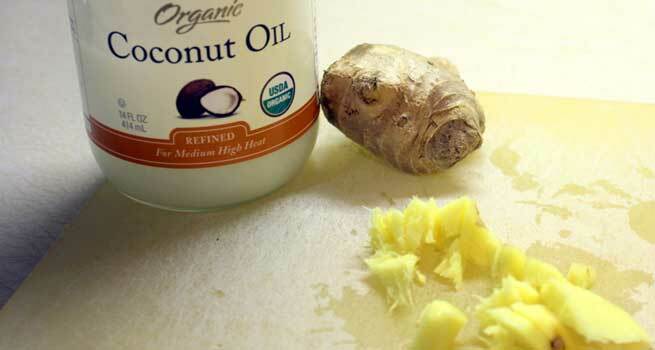 Add in chilled cold pressed oil with the hot coconut-ginger oil and stir for 4-5 minutes. Let it cool down at room temperature. Stir in balanced proportion of salt and sugar to this oil mixture. Pour some drops of essential oil in it and mix. 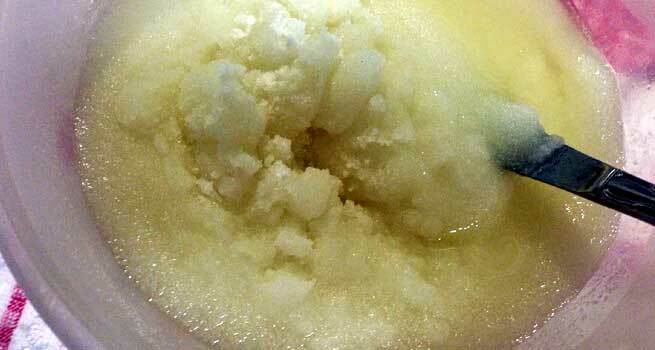 Your body scrub is ready; pack it in your desired container. Use this ginger and coconut oil sugar body scrub to massage your skin regularly for 5-7 minutes before taking bath. Try out and enjoy glowing soft skin throughout the year without extra struggle or effort anymore.